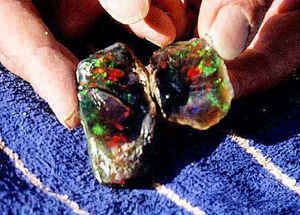 Nevada's state precious gemstone is the black fire opal. Considered one of the most beautiful of Nevada's gemstones, Virgin Valley black fire opal was designated the precious gemstone on May 27, 1987. 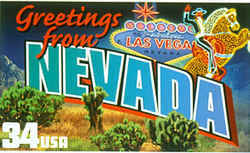 Nevada turquoise was also recognized in 1987 as the official state semi-precious gemstone. The Virgin Valley in northern Nevada is the only place in North America where the Black Fire Opal is found in any significant quantity. Northern Nevada's Virgin Valley is the only place in North America where black fire opal is found in any significant quantity. Many pieces contain brilliant pinfire which rivals the Australian opals in play of color. Most of this opal comes from limbs of pines and other conifers (even sagebrush) and some comes in clams, pine cones, vertebrate bones, and other weird forms. 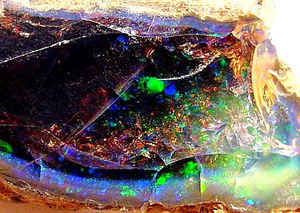 Opal is usually white, clear, pale red or black, and emits brilliant flashes of multi-colored light. Watching the fire in an opal is enchanting. The Virgin Valley opal fields of Humboldt County in northern Nevada produce a wide variety of precious black, crystal, white, fire, and lemon opal. 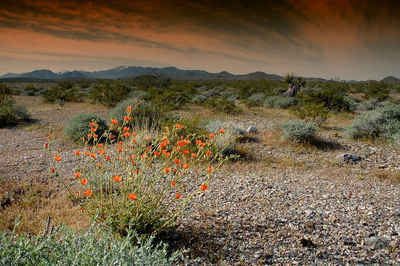 The black fire opal is the official gemstone of Nevada. Most of the precious opal is partial wood replacement. The precious opal is hosted and found within a subsurface horizon or zone of bentonite in-place which is considered a "lode" deposit. 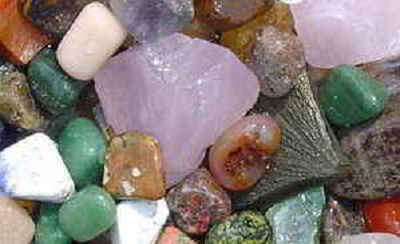 Opals which have weathered out of the in-place deposits are alluvial and considered placer deposits. Miocene age opalised teeth, bones, fish, and a snake head have been found. Some of the opal has high water content and may desiccate and crack when dried. The largest producing mines of Virgin Valley have been the famous Rainbow Ridge, Royal Peacock, Bonanza, Opal Queen, and WRT Stonetree/Black Beauty Mines. The largest unpolished Black Opal in the Smithsonian Institution, known as the "Roebling Opal,"] came out of the tunneled portion of the Rainbow Ridge Mine in 1917, and weighs 2,585 carats. The largest polished black opal in the Smithsonian Institution comes from the Royal Peacock opal mine in the Virgin Valley, weighing 160 carats, known as the "Black Peacock. Opal is a non-crystalline form of the mineral silica which, despite its amorphous structure, displays an amazing degree of internal organization. Opal is related to its more commonly found but highly crystalline cousins quartz and agate, and is formed from amorphous "balls" or lumps" of silica rather that from ordered, naturally faceted crystals. The most striking quality of opal is its ability to refract and reflect specific wavelengths of light. In fact, the term "opalescence" was coined to describe this phenomenon. The size and spacing of the amorphous spheres of silica within the stone refracts specific wavelengths of light; each sphere refracting a single, pure spectral color much like the individual microscopic droplets of water in a rainbow. The interplay of these pure wavelengths of light gives opal its unique visual appeal, and makes it one of the most sought-after gemstones in the world. The law designating the Virgin Valley black fire opal as the official Nevada state precious gemstone is found in the Nevada Revised Statutes, Title 19, Chapter 235, Section 235.100. TITLE 19 - MISCELLANEOUS MATTERS RELATED TO GOVERNMENT AND PUBLIC AFFAIRS. CHAPTER 235. STATE EMBLEMS; GIFTS AND ENDOWMENTS, MISCELLANEOUS SYMBOLS. 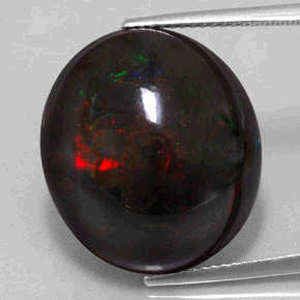 NRS 235.100 State precious gemstone. The precious gemstone known as the Virgin Valley black fire opal is hereby designated as the official state precious gemstone of the State of Nevada.